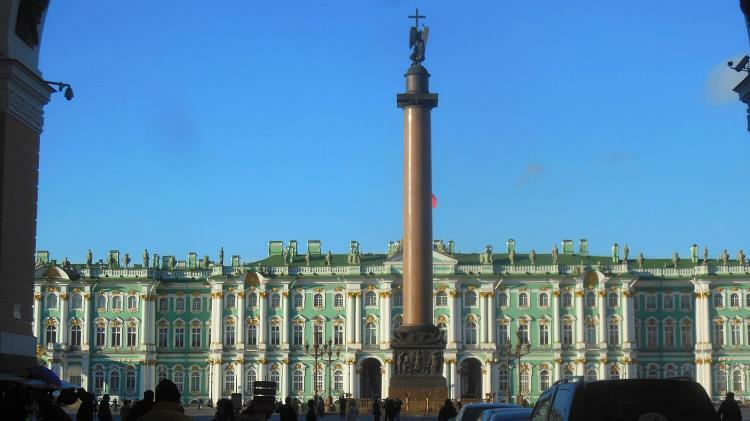 The heart of the Saint Petersburg, Russia is Winter Palace. 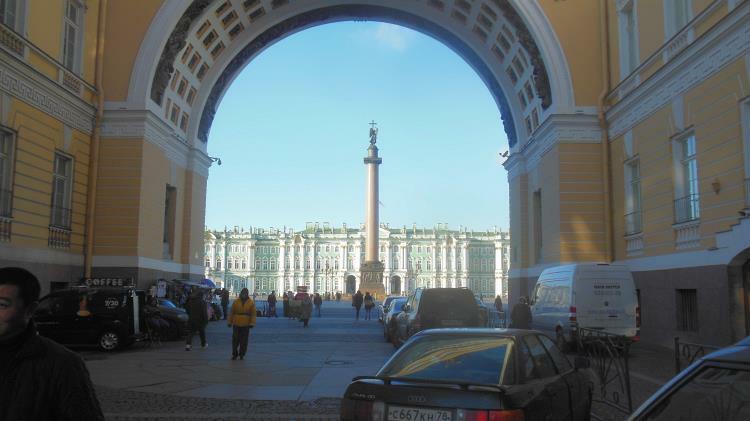 It the home of Hermitage museum. 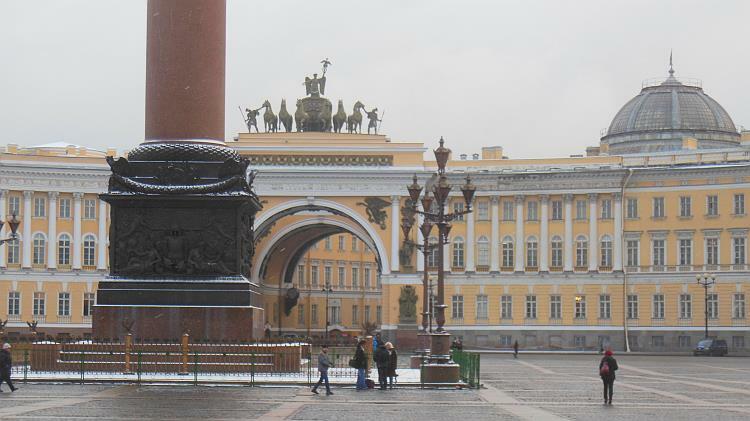 The Palace Square is the iconic historical place. 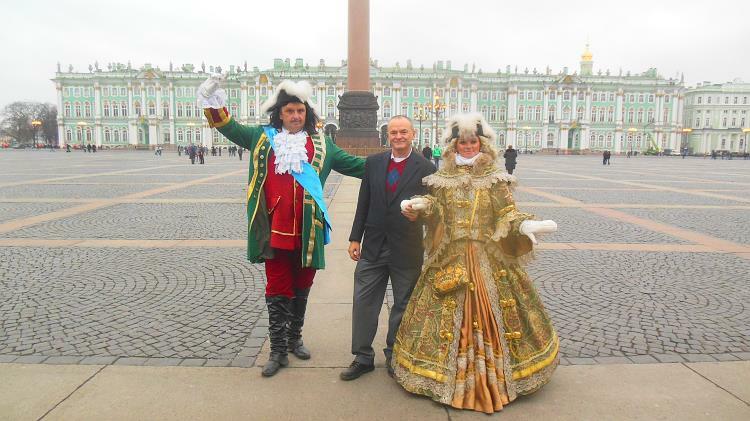 There are a service to get a picture together with models presenting Emperor Peter the First, founder of the city, and his wife Catharine. 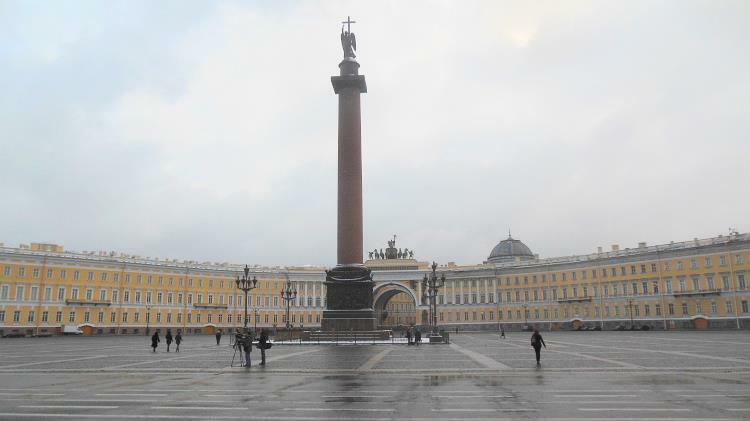 The Alexander Column is in honer of the victor Alexander who defeated Napoleon invasion in Russia. 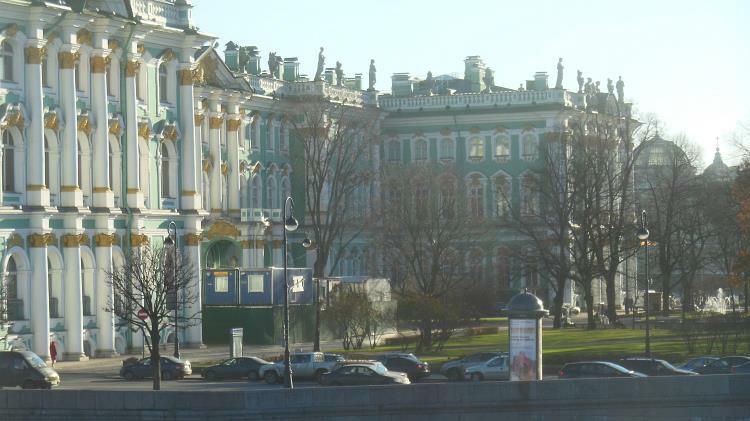 The Winter Palace in the center of the city. 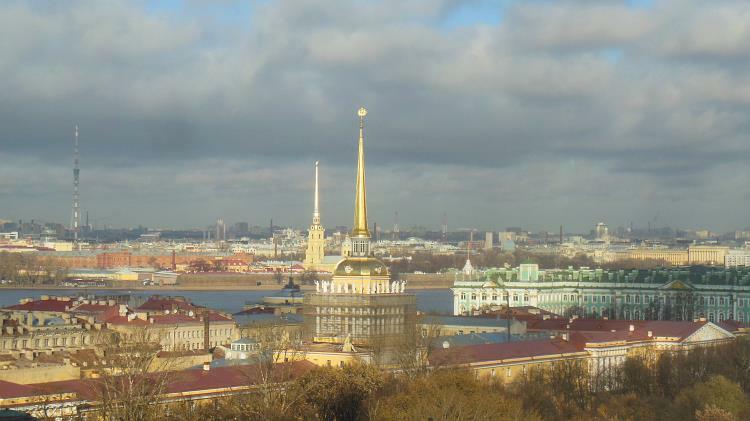 The view from Saint Isaac Cathedral. 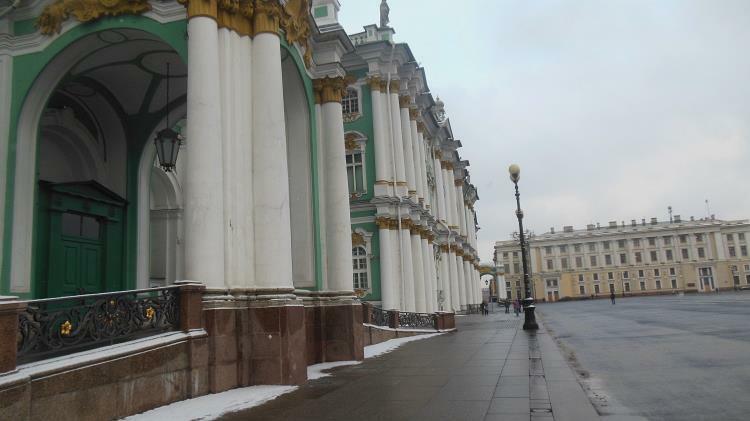 Winter Palace at Dvorzovjj Proyezd street. 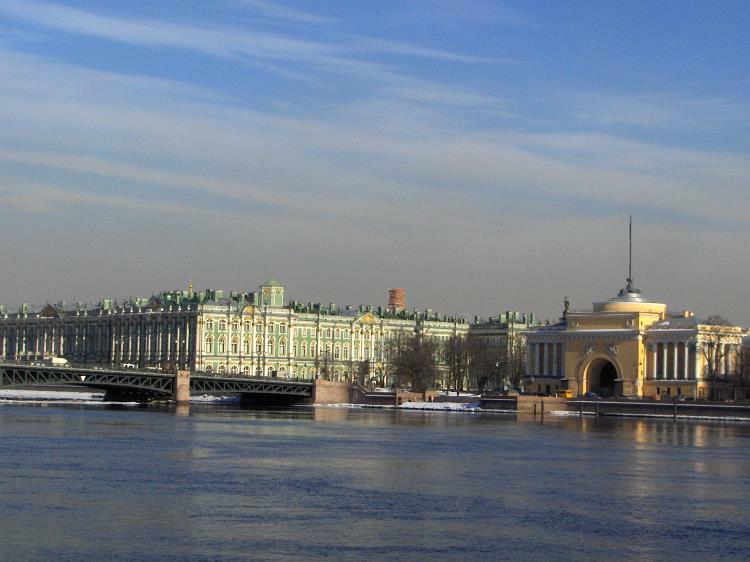 The Winter Palace and Palace Bridge. 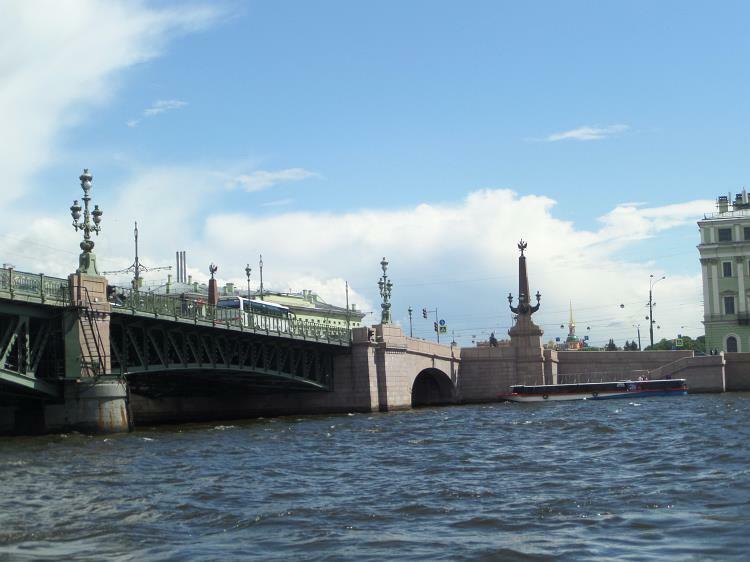 The view from Vasilevskii Island. 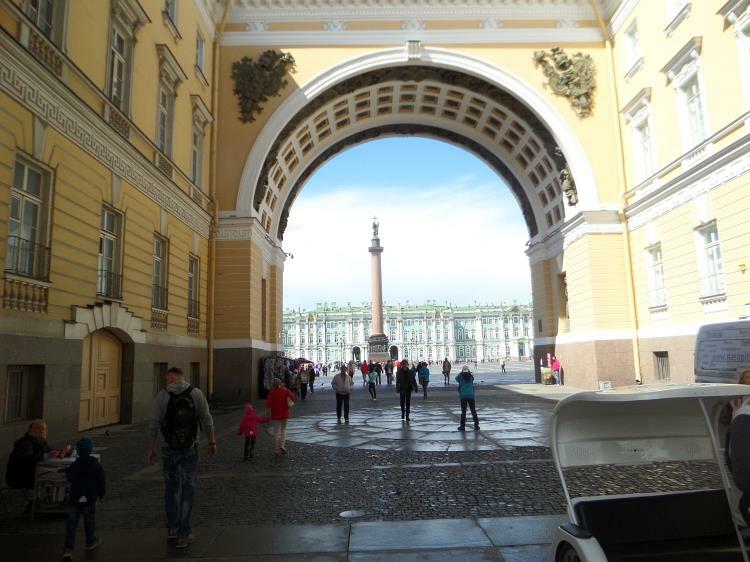 The view from Triumphal Arch of General Staff building at Alexander Column and Winter Palace behind..
Alexander Column dominates a Palace Square..
Triumphal Arch shade is contrast to light of Winter palace at other side of Palace Square.